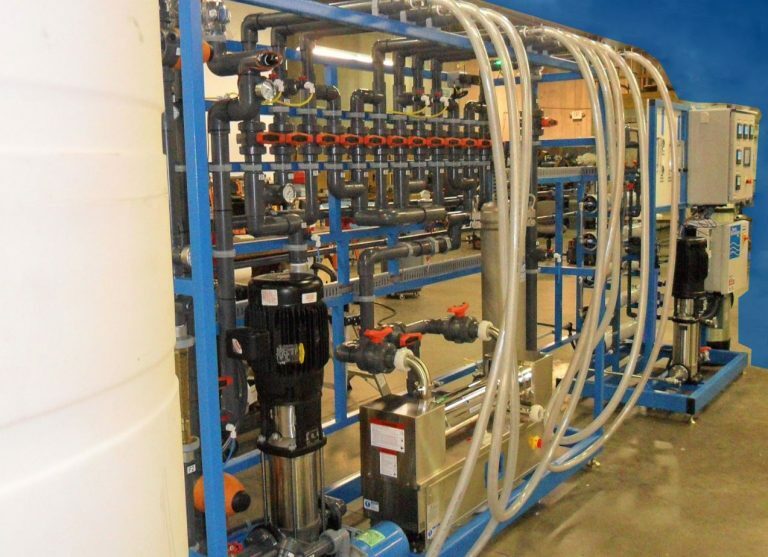 Hormel Food’s new R&D facility in Austin, MN needed a water system that could provide 40 gpm of deionized water to their laboratories. They also needed water for their boilers but were unable to use deionized water because it is too pure. Lastly, they needed softened water to their entire facility. The main challenge was having two recirculating distribution loops from the same source (the reverse osmosis storage tank) when one of the distribution loops couldn’t have too high of quality. If the deionized lab loop was to recirculate back to the storage tank, it would eventually polish the entire tank to a deionized level and the boiler feed loop would be too pure and damage the boilers. The water system (except the softeners) needed to pass a UL Field inspection as well. 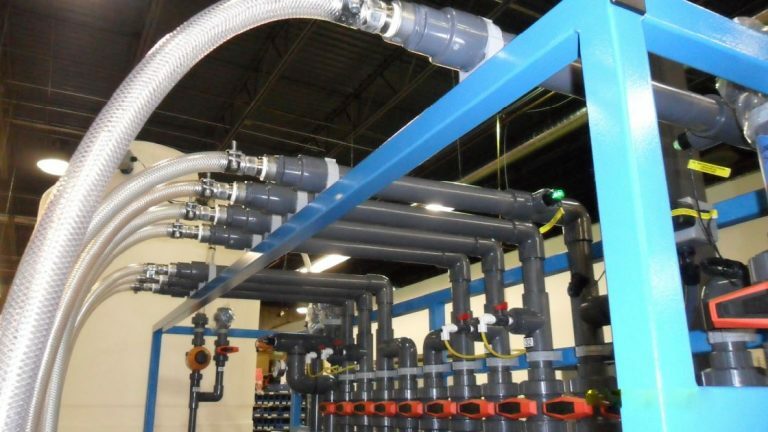 Smith’s engineering utilized the information given by the Mechanical Contractor to design and quote a water system to perform the desired tasks. 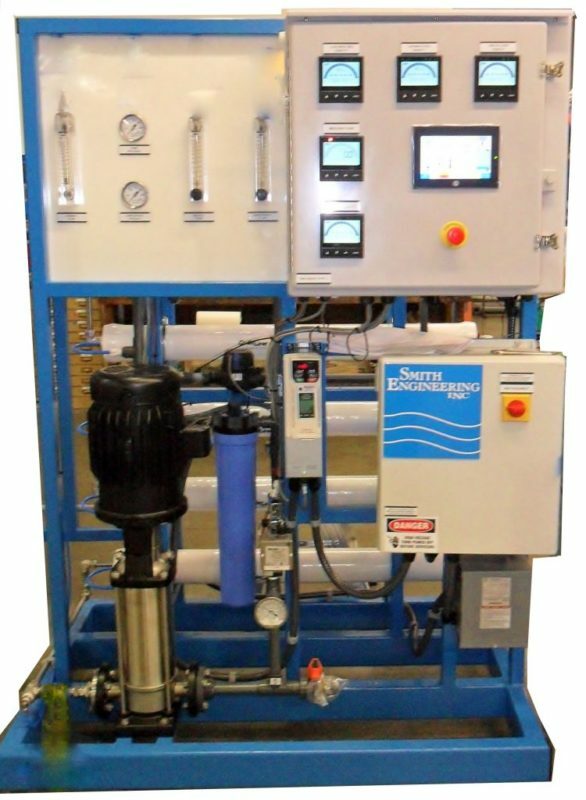 The system was designed to use the large softeners to not only supply the building but feed the reverse osmosis system as well. The RO system would fill an 850 gallon storage tank before splitting off in two directions: Boiler Feed and Lab Feed. The boiler feed supplied 12 gpm to the boilers before recirculating back to the storage tank. The deionized lab loop was designed to simply recirculate in on itself at 40 gpm and not return to the storage tank. This would allow the purity of the water to remain constant without increasing the quality of the main storage tank. The physical design of the equipment fit perfectly in the space provided. The startup went very smoothly and in the end, all of the water users are very satisfied. The UL Field inspection went flawlessly as well and the system received a UL Field Inspection sticker.